Jessica of How Sweet It Is is known for her crazy, delicious flavor combinations. Or at least, that's what my mind goes to when I think of her blog. 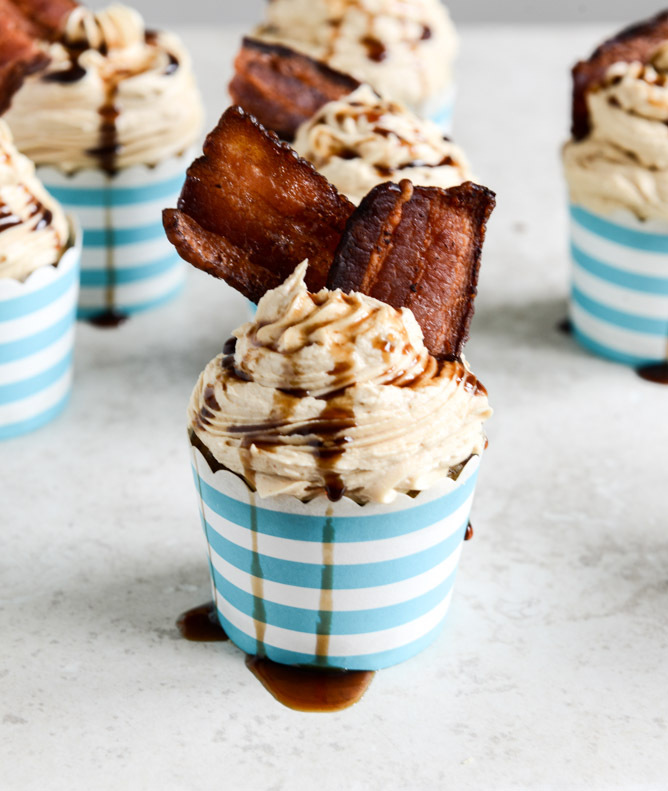 Recently she made these brown sugar and banana cupcakes that are topped with peanut butter frosting, a bourbon drizzle, and shards of crispy bacon. Whoa! I can only image what that tastes like, but I'm definitely interested and curious. If you're also interested, click on over to Jessica's blog post for the recipes!